Every February, the Fatosphere engages in an activity, Fatshion February. Bloggers and non-bloggers alike take OOTD photos and post them in various social media forums (blogs, Twitter, Tumblr, Facebook, etc) with the tag, #fatshionFebruary. The purpose of Fatshion February is to promote conversations around fatshion, and provide opportunities for fatties to show off their rags. 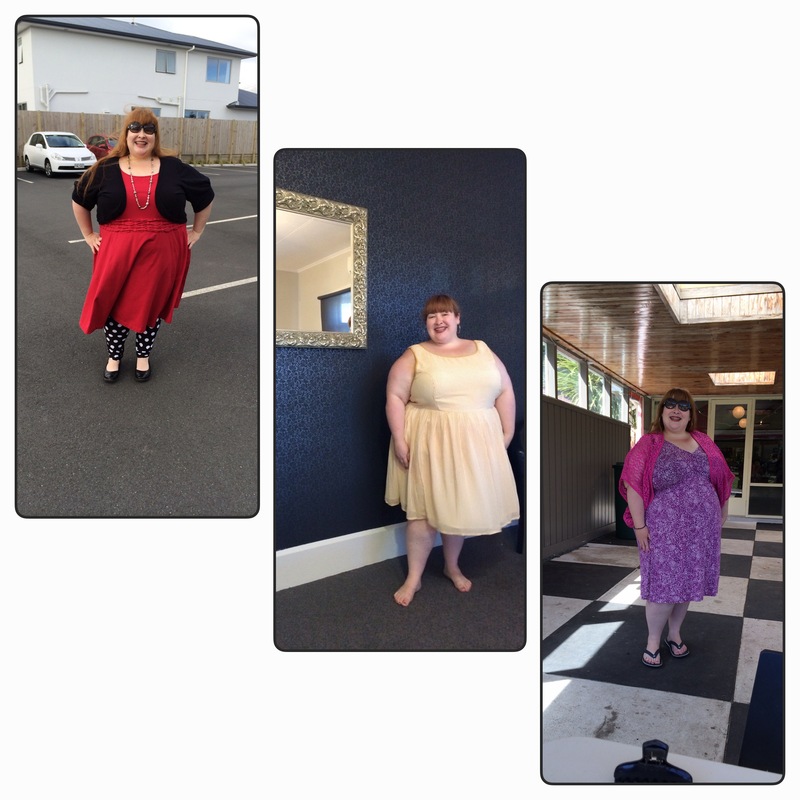 I decided to participate in Fatshion February this year, partly to challenge myself to wear the many frocks I own. Somewhere along the line, the idea that dresses are only to be worn on special occasions took root in my mind (it may have had something to do with growing up a tomboy and hating to wear dresses; having to be coerced into them for special occasions). Since entering adulthood, my reluctance to engage with something other than separates remained. UNTIL! I was introduced to fatties wearing frocks. As I came out as fat, I was exposed to fat women (in person and online) wearing dresses (super cute dresses, at that!) And slowly, my resistance to dresses, and dressing up, began to recede. And I started to purchase the occasional frock. After some time, I had amassed a sizeable collection of cute dresses (mainly sundresses)*. The problem was that I rarely worn them. Outside of Christmas Eve Midnight Mass, in fact, I never wore them. 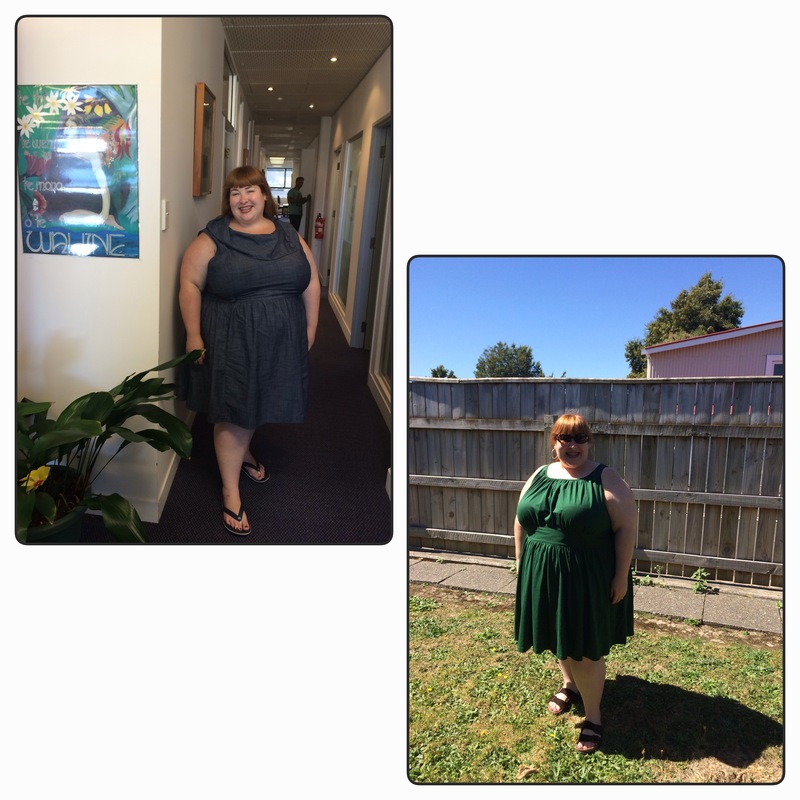 I saw participating in Fatshion February as an opportunity to challenge myself to wear my frocks while engaging in an important activity within the fat positive community. I spent the month of February wearing a different dress (or skirt) every work day. And I managed to find people willing to take my picture every day (I failed to learn the art of full body selfie. Maybe, with time…) I know that for some, taking selfies or OOTD pics, seems a narcissistic act of a generation too consumed with itself. But I think there is a power in fat people putting forward images of themselves. If we relied on others, all we’d ever see are headless fatties. In a post about selfies, Sarah at Radically Visible writes about the value of visual representation. “What taking selfies and sharing them does is fill our immediate environment with a far more diverse visual language of bodies than we have access to otherwise.” Sarah is writing specifically about selfies (even unflattering/uncomfortable selfies), but I find that her message resonates well for Fatshion February as well. Anytime I am able to see a fat body presented outside of a negative light is an occasion. And for me, seeing how other fats engage with fashion is exciting. I enjoy being introduced to different ways to put together outfits, and different ways to wear items I own. I also like seeing the pieces of clothing from lines, both new and familiar, on actual fat bodies. Very rarely are clothes modelled on fat bodies in catalogs or on websites (shoutout to Domino Dollhouse!) To see how articles of clothing look on other fatties helps me further visualize what it may look like on my fat shape. In the aforementioned piece, Sarah concludes, “For me, taking and sharing selfies reminds me that I can challenge the received narrative of beauty my culture has given me and either place myself in it – which I’m not supposed to be allowed to do – or discard it completely as the situation warrants.” This, for me, is the most important part of an event like Fatshion February. To allow a space for fatties to produce their own images to share – ones that disrupt the normative discourse and narratives that surround fatness. And getting to share in a bit of fashion in the process? Delightful! *My favourite places for frocks are eShakti, Domino Dollhouse, Modcloth, although I occasionally find something I like at The Avenue or Lane Bryant. Other popular places for fatshion: Igigi, Torrid.